Have you ever wondered if it’s possible to meet (or even date) the women that you walk past during the day? Well it is. The Day Workshop starts with a one hour consultation to look at your current dating life – where you are at, where you want to be, and how you can get there. You will learn the theory behind meeting women during the day – how to go about it, what to look for, what to say, and then it will be time to hit the streets. For the next two hours you will be side by side with Chris or Paddy, being shown and taught how to meet women on the street, in supermarkets, in stores – places that you wouldn’t have imagined finding your next date. There are no cheesy pick-up lines, no weird techniques, and no hard pushing to do anything. You will be taught how to naturally approach and meet these women in a relaxed and friendly fashion, with the main focus being on growing your confidence. You will find it much easier than expected, and by the end of the day you will know exactly how to meet women in this fashion. You will then be given a plan to then put it into practice yourself. This skill will revolutionise your confidence and your dating life. Why spend hours online dating, or at events that you don’t enjoy, when you can just walk out your front door? For the guys that can already approach in the day, but who are getting no results, the Day Workshop will tweak what you’re doing to get you to the next level. There is a maximum of two clients per workshop, so you’re ensured close personal attention. It is also 100% satisfaction guaranteed. Every weekend bars are flooded with lovely single women of all ages who are looking to meet Mr Right. But despite this, most guys stand around watching them from a distance because they don’t know how to meet them. And of the guys that do approach, most don’t get dates from it. You will be the exception after the Night Workshop. It starts with a one hour consultation to see where you’re at in your dating life, what needs to improve, and also to discuss the theory behind meeting women at night. 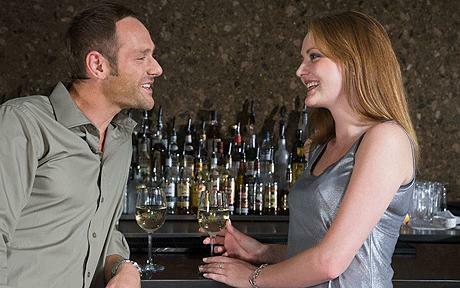 Then with Chris or Paddy right by your side, for the following three hours you will be shown and taught how to easily and naturally approach and interact with women in bars and night venues. This will include how to approach, how to have better conversations, how to deal with groups, how to get phone numbers, and especially how to grow your confidence in these social situations. Once you develop this, you will be able to go out to bars or social events and interact with women in a way that other men simply admire. For the more experienced guys, the Night Workshop will tweak your approaching, conversation and escalation to significantly improve your results in just one night. The Night Workshop is a maximum of two clients, ensuring that you get close personal attention, and it is 100% satisfaction guaranteed.